Ellison’s new novel, TEAR ME APART (Mira) is the powerful story of a mother willing to do anything to protect her daughter … even as their carefully curated world unravels around them. Competitive skier Mindy Wright is a superstar in the making until a spectacular downhill crash lands her in the hospital. During surgery, doctors discover she’s suffering from a severe form of leukemia, and a stem cell transplant is her only hope. But when her parents are tested, everyone’s completely shocked. Mindy is not their daughter. The race to save Mindy’s life means peeling back years of lies. Was she accidentally switched at birth or is there something more sinister at play? The search for the truth tears the family apart and someone … some very unlikely person … is going to deadly extremes to protect his or her secrets. I enjoyed TEAR ME APART immensely, but I found it a bit long. The editor could have been a little more free to cut … pages! But the secrets and lies will keep readers turning pages until the very end. New York Times and USA Today bestselling author J.T. 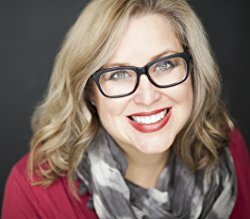 Ellison writes standalone domestic noir and psychological thriller series, the latter starring Nashville Homicide Lt. Taylor Jackson and medical examiner Dr. Samantha Owens, and pens the international thriller series “A Brit in the FBI” with #1 New York Times bestselling author Catherine Coulter. Co-host of the Emmy Award-winning show, A Word on Words, Ellison lives in Nashville with her husband. Thanks to TLC Book Tours and MIRA we have one copy to giveaway. Just tell us your favorite J.T. novel. We’ll announce a winner soon. Good luck. new to me author. looks like a good book to start with! I read Lie To Me and it was very good! I am a big fan of the Dr. Sam Owens series! This book sounds fantastic and would be my first by this author! Thanks for the chance. She’s a new author to me. It sounds really good! I have not read any books by this author but this book sounds amazing. I will have to look into her previous books to see what I have missed out on. I read and enjoyed No One Knows. New author to me. This book looks and sounds great! I haven’t read anything by J T yet. New author to me, but this sounds really good. J. T. is a new author to me. “Tear Me Apart” sounds like a great book to start with. I’ve never read this author before, but I will put this on my TBR list. It sound really good. I watch a show called Switched at Birth. Its a sweet show, but this book sounds crazy and I love books with twists. There always has to be the first read for an author! If I win this it would be my first for J.T. I haven’t read anything by this author, but this book looks really good! Lie To Me is my favorite. I’ve only read Lie To Me so far but I loved it. I guess I’d have to say that’s my favorite.